Do you record videos with your smartphone? Want to make them look really professional? 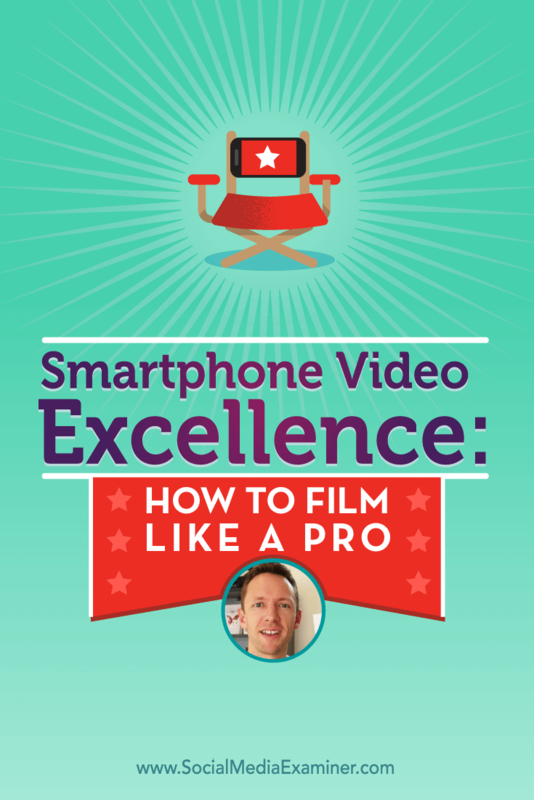 To talk about how to do video like a pro from your smartphone, I interview Justin Brown. In this episode, I interview Justin Brown, a video professional who specializes in helping marketers look great on camera. He’s been a coach, producer, and cameraman for 25 years, specializing in extreme sports. You can find him at PrimalVideo.com. Justin explores how to use your smartphone to create excellent recorded and live video. You’ll discover what tools you need to make your videos look professional. 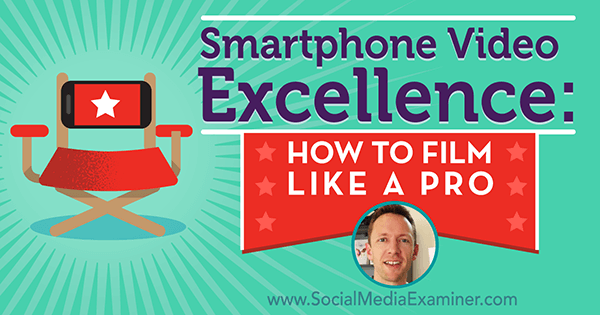 Listen as Justin Brown shares what marketers need to know about excellent smartphone video, and how you can film like a pro. When Justin was little, he recalls, his dad was always filming the family. As kids, they would grab the camera, make up mock TV shows, and watch them. His interest progressed and Justin eventually started editing video with the early versions of Windows Movie Maker and with Adobe Premiere. Later in life, while Justin was a lifeguard at his local beach, he became heavily interested in motorboat racing. He began to create highlight videos from the footage of boats flipping, people falling out, and other exciting occurrences, and found that he enjoyed editing high-paced action video. From there, Justin pivoted into doing underground mine training videos. Justin broke into extreme sports through an interview with professional big wave surfer Mark Visser. Justin ended up working closely with Mark and producing his documentary TV series: Justin filmed Mark surfing JAWS in Hawaii at 2 AM, solo skydiving, and throwing jet skis out of a plane to surf remote locations. It was full-on action sports video. Somewhere along the line, Justin found that he was more interested in teaching people to create their own video content, rather than shooting the video for them. The goal at Primal Video, which launched last year, is to help people get up to speed with video, allowing them to magnify their results by removing any barriers or excuses they have around creating videos for themselves. Listen to the show to hear more about Justin’s career transition. Justin says there are a few simple elements that will help you create a professional-looking video using your smartphone. Proper lighting, he says, will dramatically increase the quality and professionalism of your video, no matter the situation. There are a couple options for lighting when capturing videos with your smartphone. One is to to use a rig mount with a light on it to illuminate your subject in the same way you would with a DSLR camera. Another option is to use a desk lamp or the lighting in your office or studio. The key is to use whatever you have to light up the person presenting the content (maybe that’s you); make sure that person is lit well, and if you have the time and the ability, you can also light up the background. The goal is to have an even light across your entire face, so people can connect with you. Some shadow is good, because it creates depth on the face and you can see some details, but harsh shadows aren’t ideal. If bright light is coming in through a window that’s in your shot, do your best to reduce it by closing the curtains, shutting the doors, or lighting up the other side of your face to balance that light. 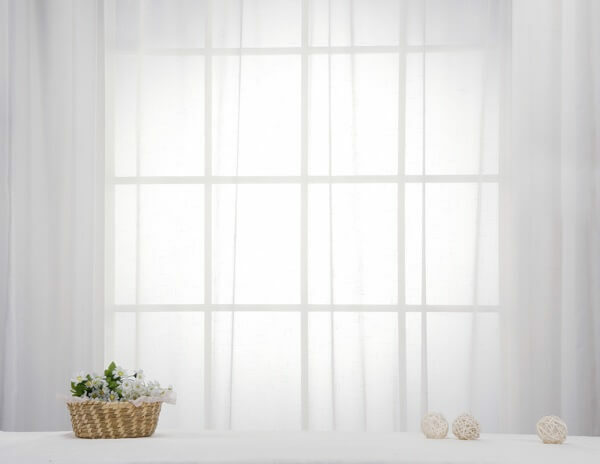 If light is coming in through a window, draw the curtains to soften it. Image: Shutterstock. When you film with a smartphone, you typically have three scenarios: selfie-style with you holding the phone yourself, someone using their phone to film you, or your phone on some sort of tripod. Lighting in each of these three circumstances will be different, based on your available resources. For a bare-bones setup, Justin recommends having at least one LED light, and says you can pick up a NEEWER 160 LED light panel on Amazon for around $30. 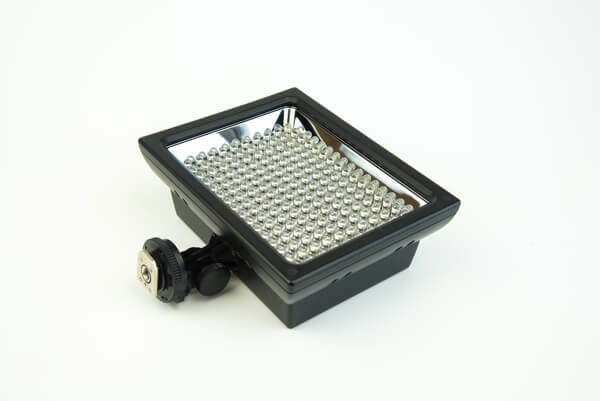 It’s a thin light with a huge amount of power to light up a person on camera and can easily be attached to a rig, mounted on a tripod, or even placed on a bookshelf to get it to the right height. Mount an LED light on your rig, a tripod, or even a bookshelf to get it to the correct height. Image: Shutterstock. To bring your equipment to the next level, you’ll want two soft box lights to push a soft light onto your subject. A soft box light is essentially a light on a stand that holds between one and five light globes inside a fabric diffuser, Justin explains. 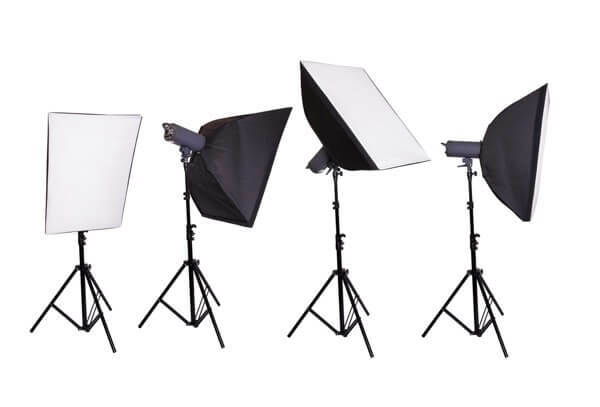 This is the soft box lighting kit Justin uses, but he cautions that box lights are big, so if you have limited space, he recommends you look at using a much bigger LED light panel instead. Note that the price on LED panels goes up considerably. A soft box light kit helps light both sides of the subject. Image: Shutterstock. If you’re filming outside, Justin says the shade is definitely your best option because it will give you the most even light across your face. If shade isn’t an option, make sure you don’t have your camera facing the sun. It’s better for you to look at the sun with a slight squint and have a clear shot than to have yourself silhouetted in the image. In addition, he says to be aware of the time of day when you shoot with the sun. If it’s almost midday, you’re going to get really bright light from the sun so you’ll get harsh shadows, which aren’t ideal. If it’s early morning or late afternoon, the light is less harsh and having the sun off to the side of your shot would be ideal. Listen to the show to discover in what circumstances it’s okay to use the light on your phone for recording. The key to creating a stable image is to get your hands off the phone whenever possible. If you want to do something selfie-style, use a selfie stick. It’s much more stable than holding your arm out. Plus, you’ll get a better shot. When it comes to rigs, though, Justin is a big fan of iOgrapher. 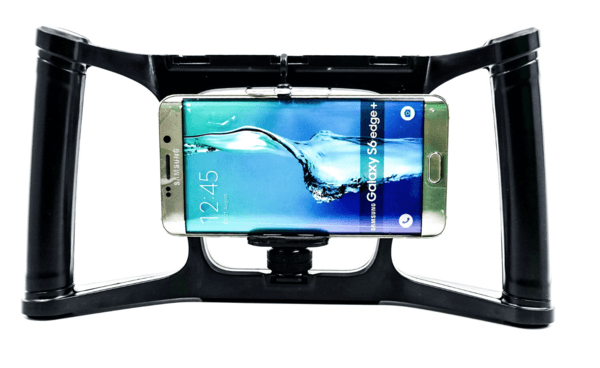 You mount your phone in the middle of the rig, which has a handle on either side of the phone, as well as several mounting options. Someone can hold it for you while you film, or you can mount it on a tripod so you have the best of both worlds. It’s a full solution for around $60. Mount your smartphone inside an iOgrapher rig. For tripods, Justin says you can start with a mini-tripod with a smartphone adapter for about $15. 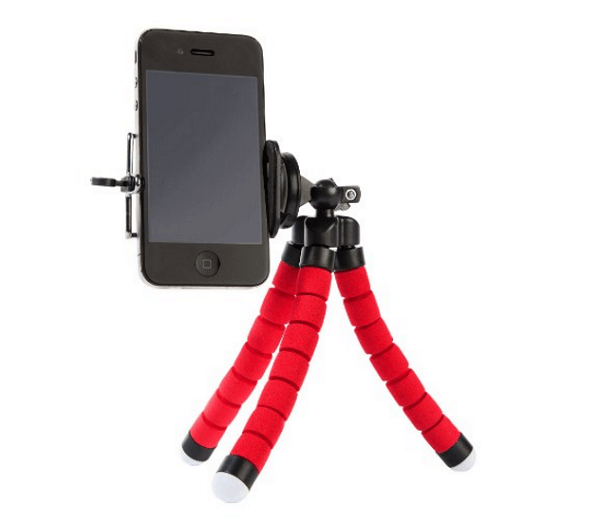 Mount your smartphone to a regular or mini-tripod. 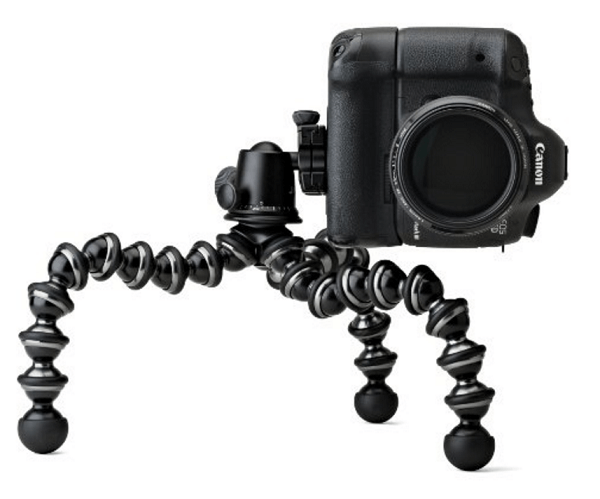 The next level up for tripod mounts is a GorillaPod. A lot of vloggers like Casey Neistat use this flexible tripod, which is around $100. You can get them in all different sizes, but they’re typically used on a desk. A lot of vloggers use a flexible tripod like this one. When he’s traveling, Justin uses a tripod called the Slik Video Sprint 2, which will run you about $90. To find the tripod that works for you, Justin suggests an Amazon search. As a side note, he says that if you aren’t concerned about traveling and plan to leave your tripod set up, you might opt for something a bit bigger. Just make sure it goes to the proper height, whether you stand up to do your videos or sit at your desk. And keep in mind that the on-camera talent should always be looking down at the camera. It shouldn’t be obvious, but you’ll want to have the camera slightly below eye level. Listen to the show to hear my thoughts on the importance of rigs and which one I use. Justin feels that lenses bring a whole other level of creativity options to video. For instance, if you work in the real estate market and want to make rooms look bigger, you can use a wide-angle lens with your smartphone to achieve the same effect that used to take a large production team. If you want to shoot a closeup of something without losing quality, Justin recommends using a telephoto lens instead of the zoom feature on your smartphone. And if you’re shooting skateboarding movies, Justin suggests a fisheye lens. While a wide-angle lens can give you a great cinematic effect, it will also bring in more of your background, which could be good or bad, depending on the space. It’s something to keep in mind. Use different types of lenses for creative effects. Image: Shutterstock. 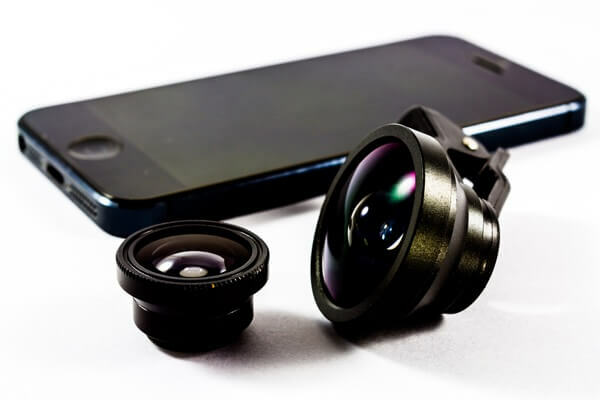 While you can get lenses for both the front and rear camera on your phone, use the rear-facing camera whenever possible because it gives you a higher quality image. This typically means you need to have someone else there to control and monitor the camera. Listen to the show to discover Justin’s philosophy of filming. Justin feels that audio is more important than video. If you make mistakes with your video, you can replace the footage with something like slides, graphics, or stock footage. Because there’s not much you can do to fix bad audio, Justin prefers to use wired lapel or lavaliere microphones when he films. Justin recommends the BOYA BY M1 lavaliere microphone. It’s a lapel mic with a 20-foot long cable that sells on Amazon for $20. Running two of them into your smartphone with a $9 splitter lets you easily record audio for wired interviews. Listen to the show to learn how and why you need to monitor your recordings. Before you press the record button, clean your lens of any makeup, dirt, or grime; you can use the cloth that comes with your sunglasses or even a t-shirt. Next, set up your tripod or phone mount and make sure the camera is just below eye level. If you don’t have enough height, stack up some books. If you’ll be stationary, Justin says to place yourself slightly off to one side of the frame. If you’ll be moving around a lot, or shooting in square mode or on Facebook Live, stick to the middle of the frame. The other thing to keep in mind, whether you use a tripod or selfie stick, is to keep the horizon in the background of your frame level. You don’t want to film on an angle, where all the lines and buildings in the background aren’t vertical. While the software in today’s smartphones gives most people ample control over their video, if you’re looking to take your production quality to the next level, Justin recommends an app called FiLMiC Pro. The app lets you increase the quality of the video beyond the built-in camera’s capabilities, and gives you full control over the same settings you’d access on a professional camera. For example, you can adjust the bit rate, do color corrections, and more. Listen to the show to hear to my warning about battery drain. The most important part of going live is a good Internet connection. There’s a speed test app in both Android and iOS, and Justin highly recommends running one to make sure you have at least 2 megabits per second upload; he says 4 to 5 megabits per second is ideal. If you don’t have that upload speed, move to get a better connection or connect to a strong WiFi. Beyond that, you should always have a plan for your live stream, Justin continues. Plan for the worst-case scenarios that could happen while you’re live. Monitor things like cars, trucks, loud noises, and people who may step into the background of your videos. Because it’s live, you can’t reshoot, so you have to be more aware of your environment. The biggest challenge of going live is remembering to look at the camera, while reviewing comments to address people’s questions. If you can monitor everything yourself, that’s ideal, Justin says. The key is to make eye contact with your audience when you answer. Remember, whenever you have a one-on-one conversation with someone, you always make eye contact, so aim for that level of connection in your live video. Listen to the show to get Justin’s closing thoughts on shooting videos from your smartphone. 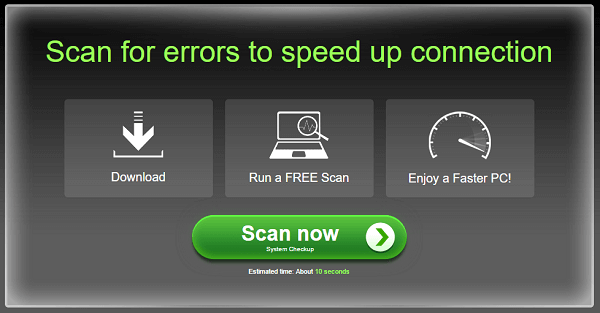 Speedtest is a simple but powerful tool that lets you test and troubleshoot the download and upload speed of your Internet connection with the push of a button. Ideally, your upload speed should be at least a 2 megabits per second, if not more. If it’s not, Speedtest will quickly isolate problems, so you can determine whether the problem is with your network, your computer, etc. Listen to the show to learn more and let us know how Speedtest works for you. Every year, thousands of marketers from all over the world participate in this online conference. Video will be a big part of what we do at the Summit this year. We will have nine sessions focusing on video, including live video, video production, YouTube, and more. 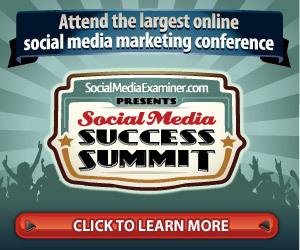 The Success Summit covers a lot more than video too! Plus, Justin will be speaking on How to Look Like a Pro Using Facebook Live: Lights, Camera, Action. Check out the entire agenda. Learn more about Justin on his website, follow him on Twitter @JustinBrownPV, and watch Justin’s YouTube channel. Learn more about Mark Visser and Justin’s work with him. Check out the NEEWER 160 LED light panel, soft box lights, the soft box lighting kit Justin uses, and a big LED light panel. Take a look at the iOgrapher smartphone rig, the GorillaPod tripod, and Slik Video Sprint 2 travel tripod. Learn more about Casey Neistat. Check out the BOYA BY M1 lavaliere microphone and splitter. Take a look at FiLMiC Pro. Watch Justin’s tutorials on iPhone one Android videos. What do you think? What are your thoughts on smartphone video? Please leave your comments below. Curtain photo, LED light panel photo, Soft box light photo, and Smartphone lens photo from Shutterstock. 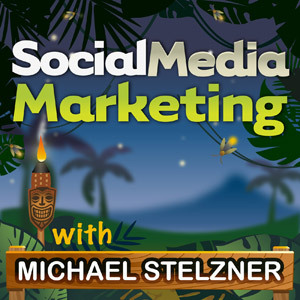 Justin Brown talks with Michael Stelzner about smartphone video and how you can film like a pro.